Whether you want to minimize the amount of over-the-counter and prescription medications you take or you are looking to supplement over-the-counter medication, the following remedies can help ease the symptoms of your cold. You should always consult a physician when you are ill with symptoms of the common cold and before trying natural home remedies. The neti pot helps to clear mucous out of the nasal passages by flushing them with salt water. This home remedy helps the cilia in the nostrils to work more effectively by clearing them of the thick mucous. This means that the neti pot helps your nose to function better overall. OptingHealth recommends using a neti pot three times a week, but it can be used safely on a daily basis. This home remedy is relatively cheap and easy to accomplish either on an as needed or daily basis. It takes a small first time investment of $5-$20. This is the price of a neti pot. Neti pots and other nasal irrigation systems can be purchased at Walmart, drug stores, and natural food stores. They can also be purchased online. Learning how to use the neti pot is not overly difficult. It is best to have someone who knows how to use one teach you. It looks like a small tea pot. Depending on its size, you add around a teaspoon of salt and warm water. The temperature of the water is a personal preference, but warmer water is preferable. Tilt your head to the left, but not forward or backward, and pour the water into your right nostril. Tipping your head forward will cause the water to go where it’s not supposed to and could be painful. When done properly, the neti pot will not give you the burning sensation associated with getting water in your nose. Gently blow your nose afterward. Repeat on the other side. Warming socks are a comforting home remedy that also help with circulation. The technique is accomplished by wearing a pair of cotton socks soaked in cold water under a pair of dry wool socks. The cottons socks warm up in a matter of minutes and are dry by morning. But, the transition from cold to hot will keep your blood moving. The wool socks keep your feet warm, but an extra blanket is a good idea. Warming socks are just one type of hydrotherapy. Garlic remedies ease symptoms of the common cold. 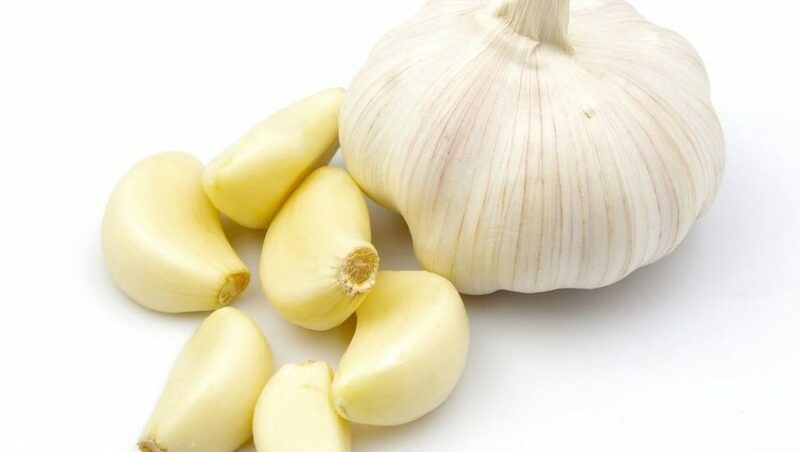 Healing properties of garlic soothe coughing by clearing mucous from the bronchial passages. Research shows that garlic also keeps people from getting sick in the first place. People who take garlic regularly get better faster when they do get ill.
Garlic can be used and taken in several different ways. The easiest method is taking an over-the-counter supplement. This method of using the remedy produces less garlic smell. WebMd recommends taking an enteric coated garlic supplement rather than the odorless versions. This allows the garlic to get through the stomach and into the small intestine, which reduces the smell and increases the effectiveness. The process of making the garlic odorless reduces the amount of allicin, the healing component present in the garlic. These remedies are great to help ease the symptoms of your cold. You could even get better more speedily that you would without them. Getting plenty of rest and eating homemade chicken soup are, of course, still highly recommended. Calico Cat Facts – Why are they the best domestic cats?